Replies: 105 (Who? ), Viewed: 103513 times. #1 11th Apr 2006 at 1:10 PM Last edited by SuperFly : 3rd Aug 2006 at 8:02 PM. The latest version of SimPE can be found here. In order for a career to not overwrite anything, the guid and group ID need to be changed. Let us take an example of a career where these values have not been changed. 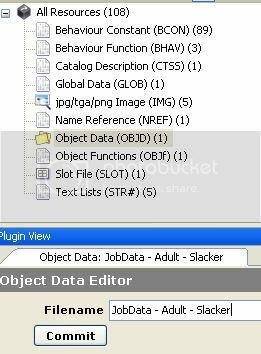 Open the career, click on Object Data in the Resource Tree. Look to the right and look at the file's group. If the group reads 0xFFFFFFFF, good. If not, you need to change it (whilst it is true you can create a Group ID from your guid, it is unwise to do so). Go to the top of the SimPE screen, and click 'Fix Integrity', then ok. You may need to search to find the 'Fix Intergrity' button. Save the file. 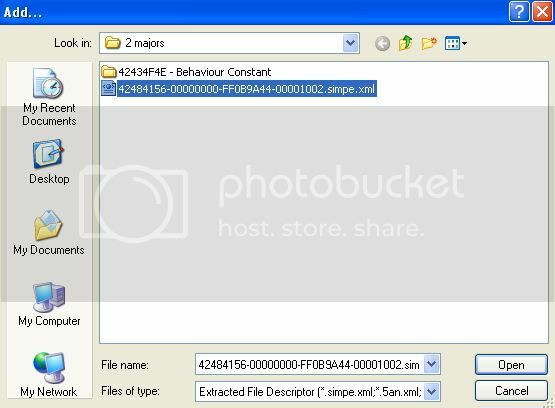 Click on the file in Object Data and write down the name of the file found in the filename box (highlighted). Next, click the text that says 'get GUID' near the bottom of the screen (also highlighted). A screen should pop up. If registered, re-name the career and click 'Register Object'. If you are a new user, register and follow the same procedure. If you want, rename the career in the filename name (this isn't nessesary however). Commit your changes and save. First stage is to open your career in SimPE. In the Resource tree, there should be a set of titles with a number next to each of them. Check the first number. If it's 108, celebrate with a wild party- the career is already EP ready. If it's 104, mourn for a day or two- you need to make it EP ready. Open the new base career you've just downloaded and click on Behaviour Constant in the Resource Tree and click Fix Integrity, then OK. Select all three files, right click on them and extract them to a known location on your computer. Done? 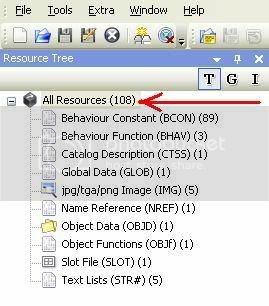 Now go to Behaviour Function in the Resource Tree. Now, click on Behaviour Constant. In the box with all the files to the right, right click and click 'Add'. It doesn't matter where you click. 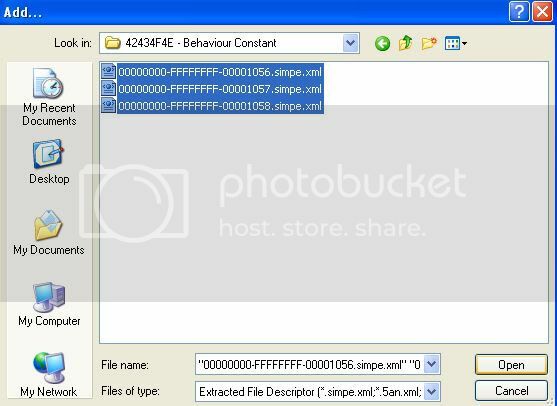 Locate the first three files you extracted- they should read like the ones in the below screenshot. Select all three and click Open. Save your career. On a side note - Very funny name for your thread: it's a "Repair Center", but "Do it yourself"! LOL! Thank you, I find this extremely useful...now I don't have to decide between interesting new careers and great maxis staples. This is wonderful! This message has been deleted by stubo13. Have I ever written in here "what would all of us do without SuperFly?" Thank you so much for this! I've been trying to create careers and could not figure out why Clean Installer kept highlighting my careers in red but other custom careers it didn't. The "fix integrity" hint certainly fixed the problem. Superfly, you are my hero! Base careers can be found here. Something wicked is coming up..! This is my last chance to this career which I can't make it work. This is a career based on chance cards, everything depends on chance cards so the promotion happends depending on the answer to the chance cards which are supposed to always appear with a chance of happening of 100%. Is a travelling guide career so the idea is, my sim goes to work (trip) and spend 20 or 18 hours working, while working a chance cards appears to say it will have holidays as returning from the trip and its answer makes it promote or not. Holidays is a level of the career so having holidays means promoting. While in holidays my sim has to pop around the office to check if there is a trip scheduled, that means it goes to work for just 2 hours and a chance card tells her/him if wanna go on a trip or stay at home for some more days. All rules like that but the first level which works as usual (by skills points). The problem I found was: Chance of happening 100% doesn't work. I test everything and for me, with a 100% the chance card never happends. If I use a 99% it happens some times but just for holidays levels, keep not appearing for travelling levels. Can anybody help? Superly? this career is starting being fustrating. Here it is SuperFly. I can get the career to show in game, but no matter what lvl you hire in at or get promoted to, it always shows different when you check your job. Ex: you hire in at lvl 1, but are actually at lvl 4. I'm not sure what I did wrong. I used the bidou career tool in conjunction with SimPe. The answer to your problem is that the career has 14 levels. I had this problem when creating careers with less/more levels than average- for some reason, the game puts levels 11 to 14 at the start of the female career tract. There isn't any real way to fix this, so I'd advise you take out some of the levels that you do not need. im such a newb at SimPE can i have a tutorial on how to make a custom career? If your not stupid click here. If you clicked there your stupider than you look. simlyjones, the forum you're at now has tutorials for making custom careers. Ok. The lvls now work fine. However, I have run into 1 other prob. I could not get my chance cards to work. I currently have 3 for testing. I went back into the file and found 1 was at 100%, 1 at 15%, and 1 at 85%. I reset them to 100%. They still do not work. How do I fix this? These 3 cards are not vital, but are important. Thanks, I hope it will help me fix careers I've downloaded that don't work properly, although they're really good ones (or would be without the bugs), so they'd actually deserved to work fine. Maybe I'll be going to try an own career later myself (haven't a idea yet). Superfly, have you fixed my career yet? where is it? I'm so excited! My mom is scottish, my dad is dutch, and me? A MONKEY! EEEEEEEEEEE! Does it freeze your game? Do the money reqrds on levels 7 to 10 work corectly? Is the career text appearing correctly? The career should be working now, but please test just to make extra sure. thank you so much! by the way i love your sig.! #23 27th Sep 2006 at 9:53 AM Last edited by dogpuppy : 28th Sep 2006 at 11:46 PM. And I have looked everywhere I can think of for an answer, but nothing. It's just the display that isn't showing correctly. It doesn't work when your sim is searching for work (by paper or computer) or if you get a promotion. All it says is "there is an opening in the secretary career for a." Or "You got promoted to.!" If you look at the sim's jobinfo, everything is there. The problem is just in the "popup windows". Ok, I hope I've managed to get myself understood. Sorry for the weird english. I know there are others who have the same problem, but there are no answers yet. I would be so happy if you could figure this out. I'm such a newbie at all of this. Thanks! *Everything changes. The only thing that does not change, is the fact that everything changes." I can correct it if you want to. I'm going to stop modding the sims 2. I hadn't found anything wrong, but I found a weird thing, your career file is different from mine.